Hello Everyone! Well, my adult sons, Trevor and Seth (and their three dogs) have both left and I miss them already! I LOVE it when my kids come home!! It's always great to see them! My husband is outside painting the new porch in front of my workshop...or I think I might start calling it my STUDIO...is that too pretentious? We had a bathroom built (still waiting on septic to be installed), but we also put a CUTE front porch that I absolutely love! Adam and Kate are off doing their own things so I'm finally gonna blog! Here's a FUN fold card that I made a while back! 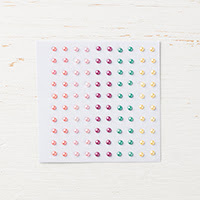 My card base is Melon Mambo with a 4 1/8" X 5 3/8" piece of Whisper White cardstock as the base mat. Next I took a 4" X 5 1/4" piece of Garden Impressions designer paper and cut about two inches in at the middle of the long side of the paper. Next I scored it from the right top and bottom corners back to the end of the cut and folded the dsp back exposing the Whisper White cardstock. 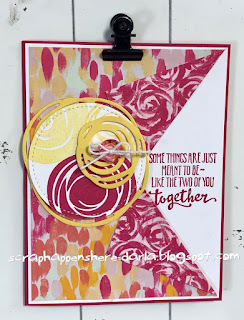 I used the Swirly Bird stamp set to stamp the circular images o(they look like flowers to me) in Melon Mambo and Daffodil Delight onto a Stitched Shapes circle. 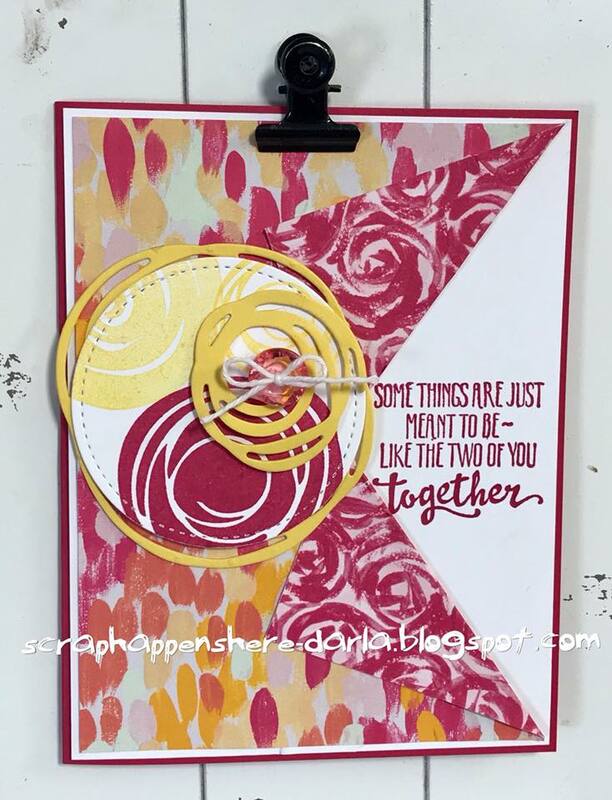 The sentiment is from the Petal Palette stamp set and is stamped in Melon Mambo Ink. I also used the Swirly Scribbles Thinlits to cut a large circle under the stamped images and a small circle scribble on top...both in Daffodil Delight. You can just barely see that I also added a Tinted Faceted Button on top of the small circle scribble! I love the fold...it can be FUN and FESTIVE like in this card, but it can also be VERY ELEGANT with softer more muted colors! I hope you'll give it a try! If you have any questions please don't hesitate to ask! Thanks BUNCHES for stopping by today! 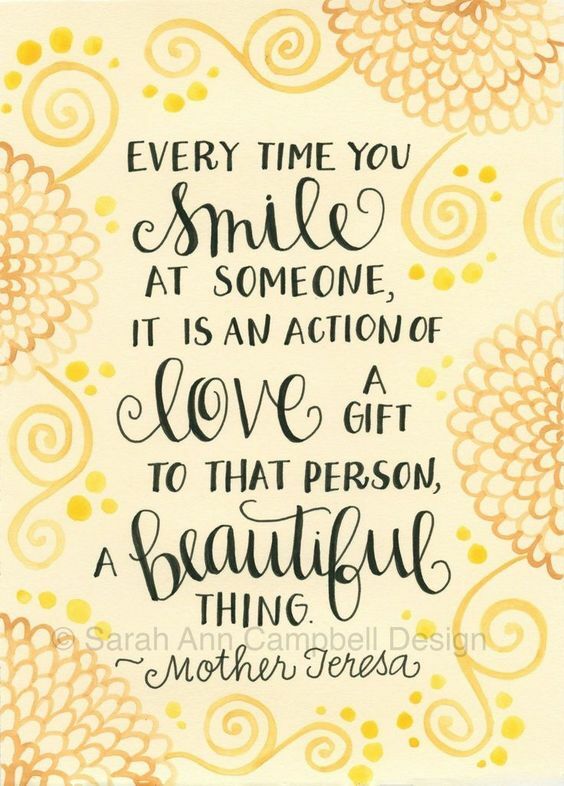 Have a FANTASTIC afternoon and evening! Hope you find just a moment to CREATE! !